HOMEGROWN FEATURE FILM Black 47, which is about the Great Famine, has made over €1 million in the Irish box office. The film, which was directed by Lance Daly, is so far the top grossing Irish film of the year, and is now also the first Irish film to pass the €1 million mark since The Young Offenders in 2016. Black 47 now joins the ranks of other classic Irish films such as The Wind That Shakes The Barley, Michael Collins and The Guard to pass this Irish Box Office milestone. It also achieved the highest opening weekend for an Irish film in Ireland since John Crowley’s Oscar-nominated Brooklyn in 2015. Black 47 is still showing in cinemas across the country this weekend, and is set for a cinema release in the UK and US later this month. The film stars Hugo Weaving, Jim Broadbent, Stephen Rea, James Frecheville, Freddie Fox, Barry Keoghan, Moe Dunford and Sarah Greene. The screenplay was written by PJ Dillon, Pierce Ryan, Eugene O’Brien and Daly. Daly and Rea spoke to TheJournal.ie before the film’s release. Asked if he thinks Black 47 will pave the way for a wave of Famine-related films, Daly said he doesn’t believe there will be another Famine movie for a long time. 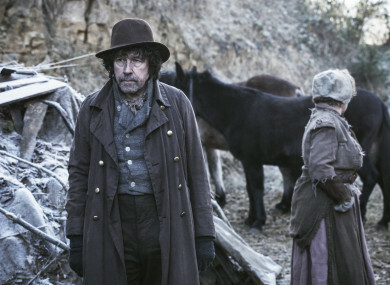 Email “Famine film Black 47 has made over €1 million at the Irish box office ”. Feedback on “Famine film Black 47 has made over €1 million at the Irish box office ”.